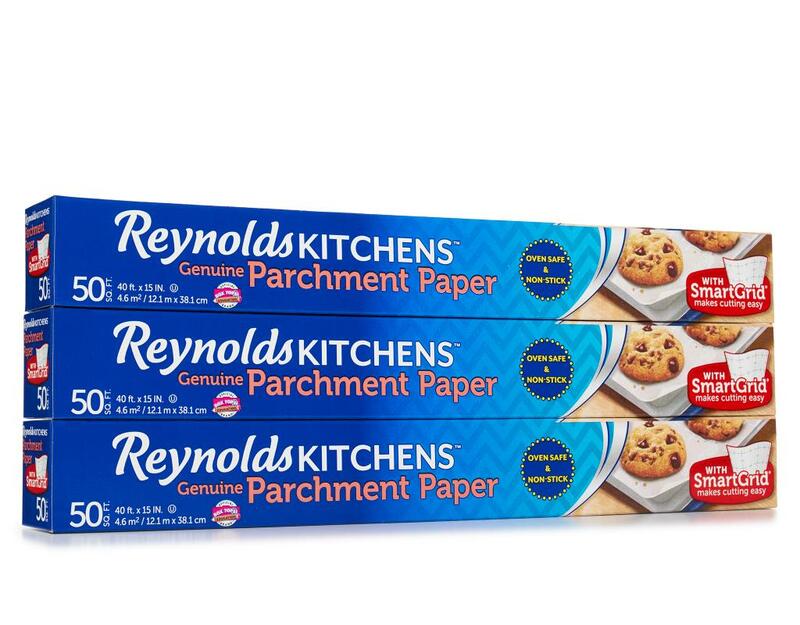 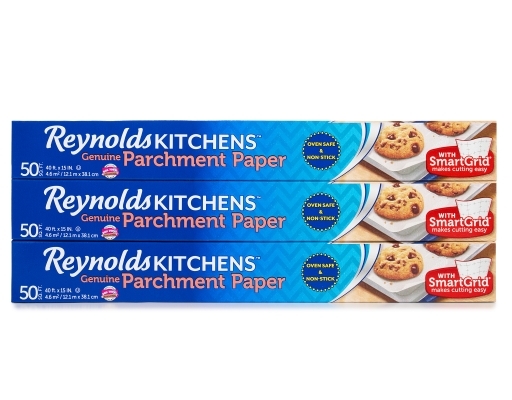 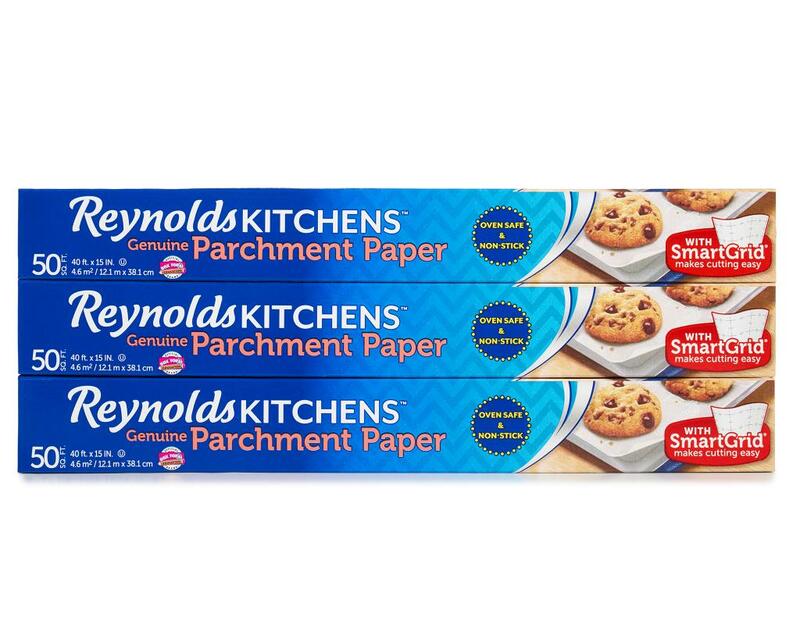 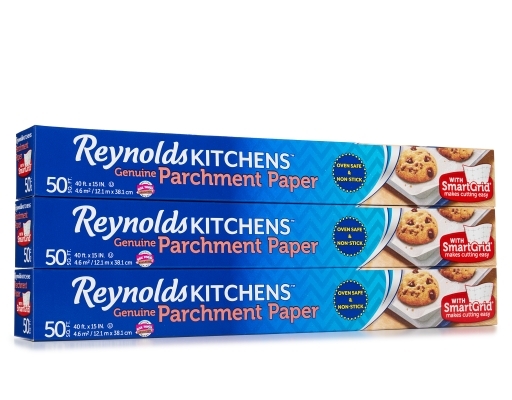 Reynolds Kitchens Parchment Paper with SmartGrid is a genuine, non-stick parchment paper for oven use with SmartGrid guidelines to help cut the sheet easily to perfectly fit any size pan. 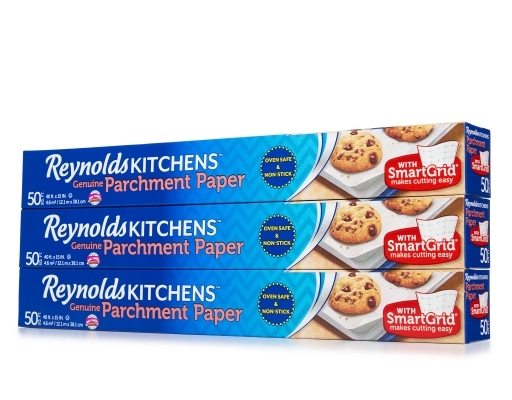 For better baking results, use the SmartGrid guidelines to space out your dough evenly on the pan. 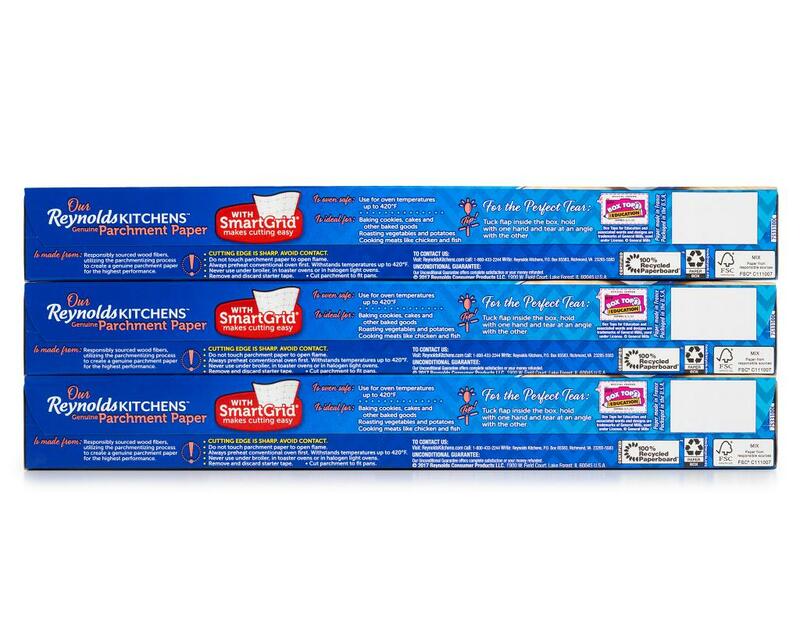 1" and 2" grid marks make measuring and spacing simple. 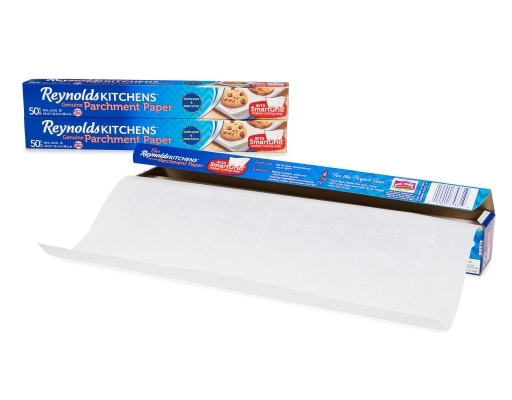 The non-stick parchment paper helps delicate or sticky foods slide right off of your pan without any grease or sprays. 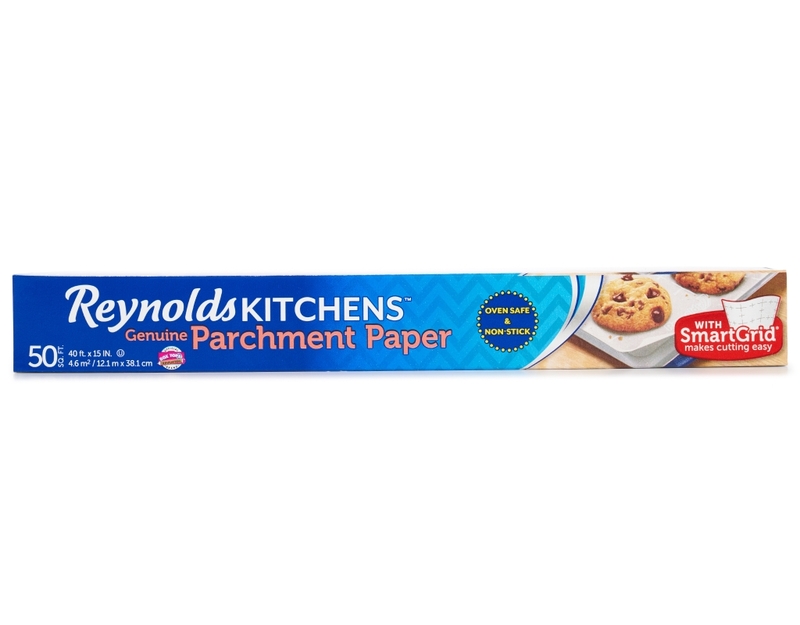 Best of all, clean-up is quick and easy when you line your pan with Reynolds Kitchens Parchment Paper.